The short answer is NO. So, why do insurance companies not cover for comprehensive Testosterone Replacement Therapy, also known as TRT.First, when considering Testosterone Replacement Therapy, it is important to understand that the #1 priority of insurance companies is to make a profit, which means the patient is NOT the priority. As is typical with insurance companies, they have a very high tendency to process approvals for the least expensive medications at the lowest possible doses; and anything falling outside of those parameters, will not be covered. So, why would they ever do such a thing? Remember the “P” word we just mentioned? P-R-O-F-I-T! With Testosterone Therapy, insurance companies are notoriously greedy. While the doctor may find that a patient has significantly low Testosterone levels and thus recommends Testosterone by weekly injection, along with necessary ancillary medications such as HCG and Anastrozole, the insurance company will reject coverage 100% of the time. 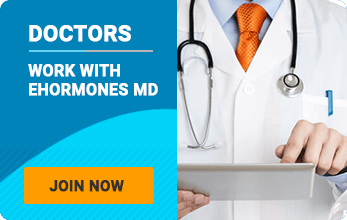 Ehormones doctors are not encumbered by insurance guidelines for prescribing and dosing – which, in the opinion of our Chief Medical Advisor, Dr. Frank Welch, are entirely too low to notice tangible benefits. This allows the physician to treat the patient correctly. like the energy has been sucked out of them due to the 6 to 7-day half-life of testosterone cypionate. 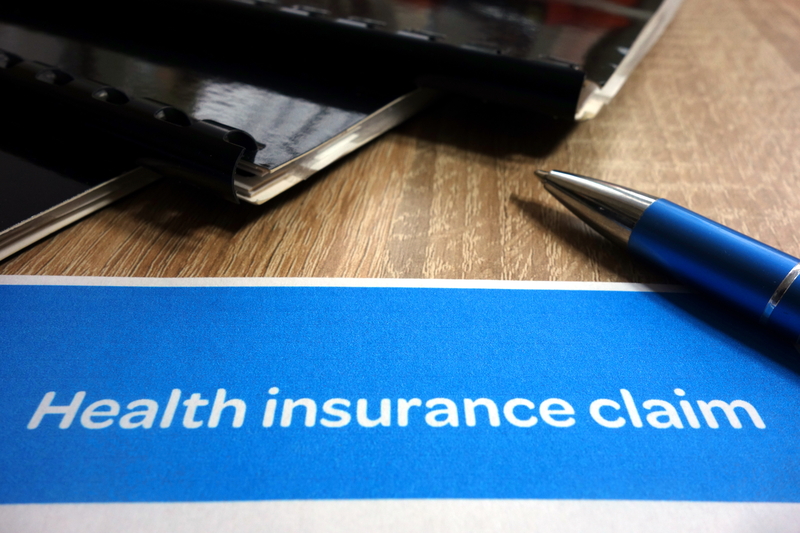 Furthermore, the insurance company generally requires the patient to physically see the doctor for each injection, as opposed to self-injecting at home. Surprisingly, it doesn’t even end there. The insurance companies DO NOT ALLOW for the prescription of the absolutely necessary ancillary medications, HCG (Human Chorionic Gonadotropin) and an aromatase inhibitor, such as Arimidex or Anastrozole. Again…it’s a bottom line issue for insurance companies. The patient is NEVER the #1 priority for these high-profit insurance companies. Luteinizing Hormone (LH), switches off as a sort of safety switch since the body is tricked into thinking that the testosterone that is beinginjected, has actually been produced by the body, when in fact, it was merely injected. So, the pituitary gland says, okay we’re producing enough…no more luteinizing hormone for the testes. However, the detrimental effect of no LH production, means no signal to the testes to release testosterone. So, when the testes cease functioning, they inevitably atrophy. The HCG that our doctors prescribe our patients allows the testes to continue producing testosterone naturally so the patient doesn’t wind up with testes that shrivel up like raisins (pardon the graphic and slightly embellished nature of the description lol). The other ancillary medication for which insurance companies do not allow during testosterone therapy is the aromatase inhibitor, typically in the form of Arimidex or the generic form, Anastrozole. 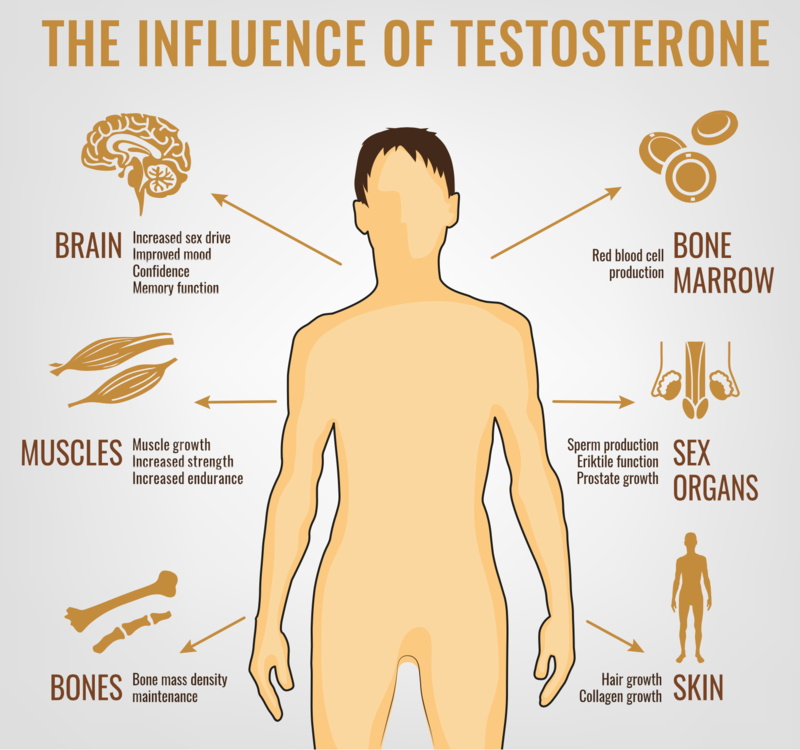 When a man takes testosterone, inevitably he will create more estrogen, a hormone that is more dominant in females and known for its production of female characteristics. If one produces too much estrogen, which is a likely possibility anytime testosterone is taken, the effects can be devastating for a man. Excess breast tissue can develop, free testosterone can decrease, mood changes can occur, among a host of other negative consequences. These effects, however, can very easily be suppressed with the aromatase inhibitor (Arimidex or Anastrozole), which insurance will not allow. So, if these are the effects of testosterone therapy without the ancillary medications HCG and Anastrozole, why is it that insurance companies will not allow the doctor to prescribe them? Again, the short answer is MONEY. Always remember, the less the insurance company must pay, the more profit they make. The insurance companies never look out for the best interest of the patient. The #1 priority of insurance is PROFIT. Due to the fact that comprehensive testosterone replacement therapy is not covered by insurance, this is the most commonly asked question. And, in spite of what you may have been told, you don’t have to empty out your bank account at a testosterone therapy clinic or anti-aging clinic like Cenegenics®, where, according to patients, the cost can exceed $10,000.00 per year. Testosterone replacement therapy is actually quite affordable. In fact, the cost of testosterone replacement therapy at Ehormones MD is merely a fraction of the cost of a Cenegenics® program. We even have programs as low as $169/month. And perhaps more importantly, our Medical Director, Dr. Frank Welch, is one of the premier physicians in the field. If you are interested in a 100% Free Consultation, give us a call at 1-800-658-8858, or simply fill out the form.